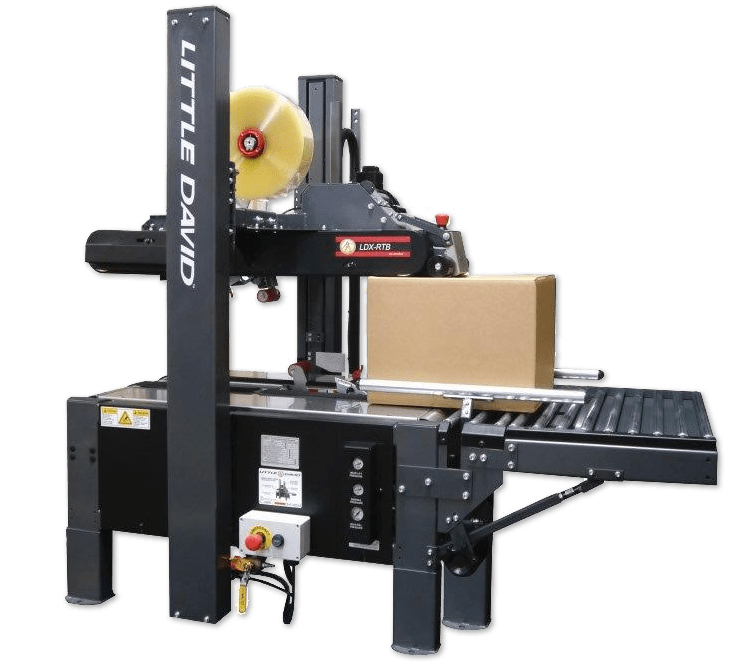 Increase efficiency and reduce your labor costs with packaging equipment and machines recommended by our experts for your specific applications. 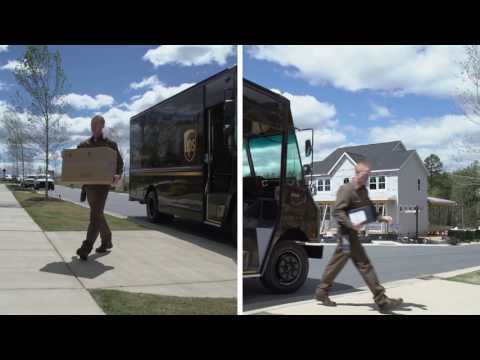 Your customers count on timely and dependable delivery, but human labor is imperfect and unpredictable. You worry about your employees’ safety, repetitive motion injuries, and fatigue. 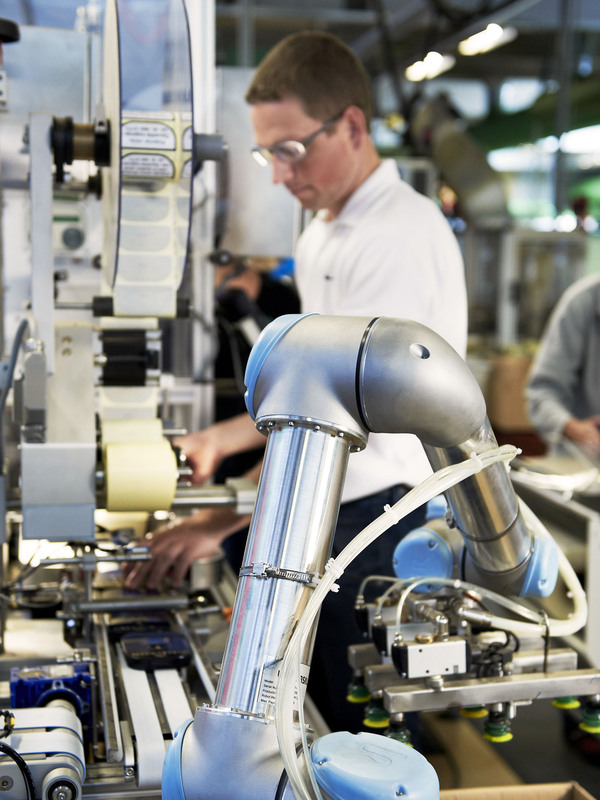 Instead they could be focusing their attention on the tasks that a machine can’t handle, like quality control and process improvements. What was hard is now easy. 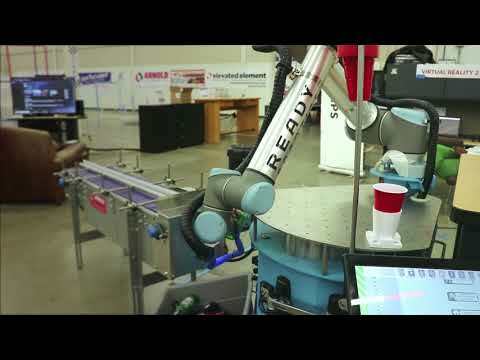 READY Robotics’ TaskMate is a flexible automation platform that eliminates the headaches of integrating and using robots. Within hours, have a TaskMate creating immediate value for you by performing tedious, repetitive tasks. 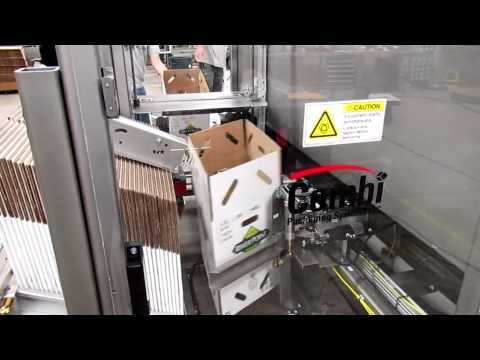 Shipping cartons or cases are usually delivered flat, which means in order to load them, they first must be opened and either glued or taped on the bottom. If you are using a lot of cases or boxes then finding the most efﬁcient way to erect the cases can significantly reduce production costs. 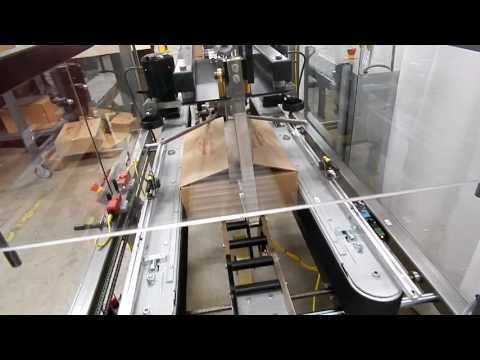 Arnold’s can supply you with cost-effective alternative to hand forming corrugated boxes. 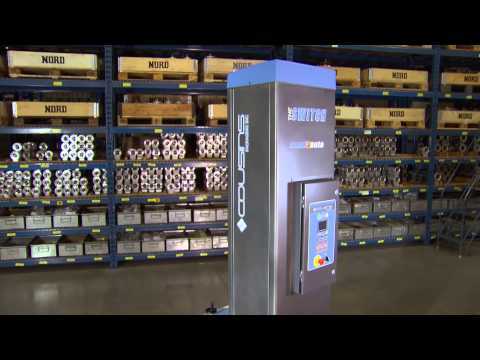 We represent 3M and Combi equipment lines. 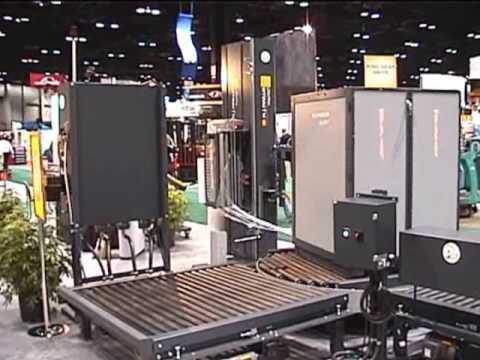 Arnold’s offers a full line of 3M and Combi case sealing equipment. 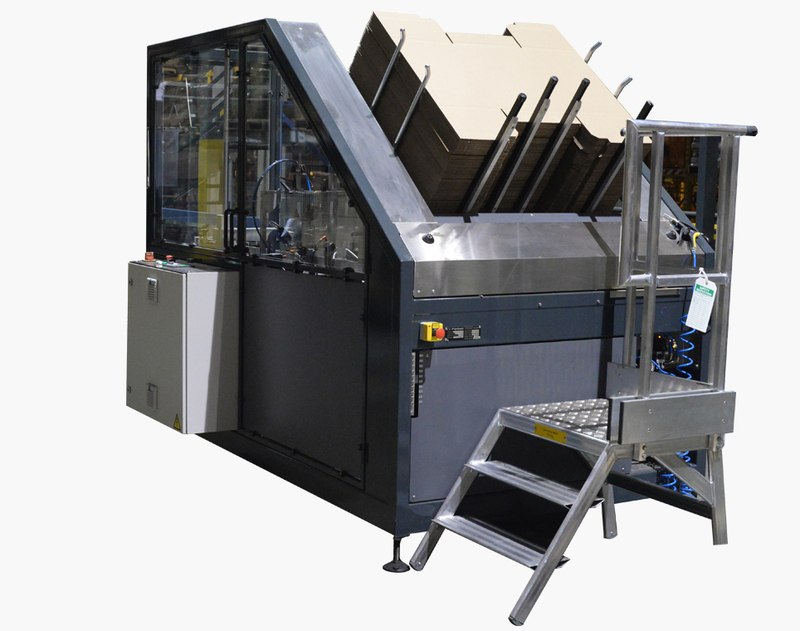 We have equipment for bottom sealing only, top and bottom of the same size carton and random box sizes. 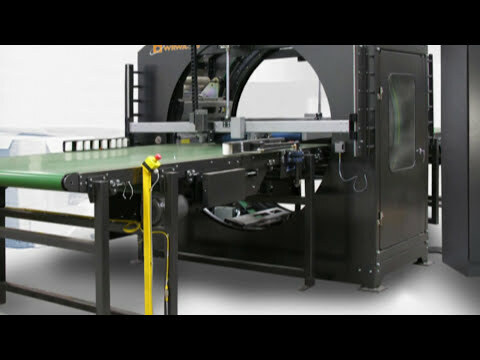 In addition, we have equipment for unique sealing applications. 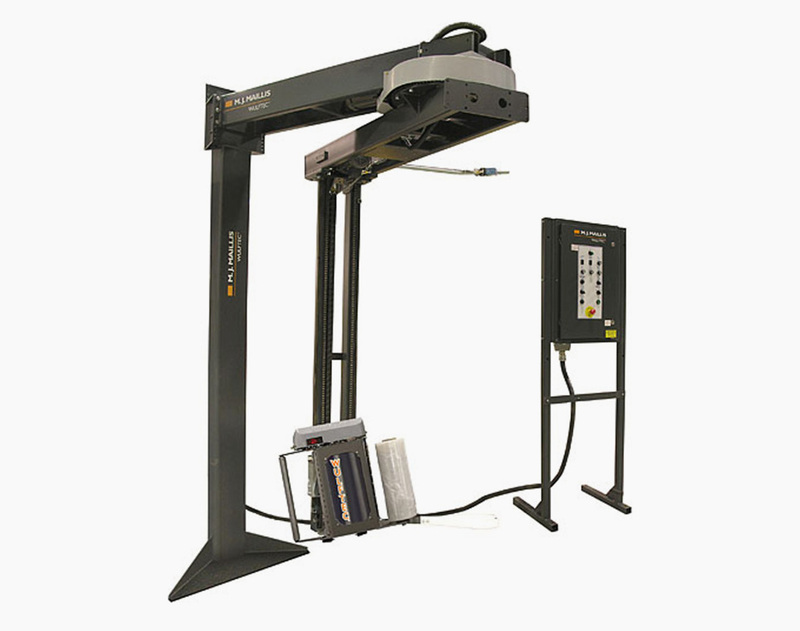 Random or self-adjusting case sealers are operator fed and will automatically adjust to the size of an incoming case. This is ideal for applications where the size of your cases and packages may vary. 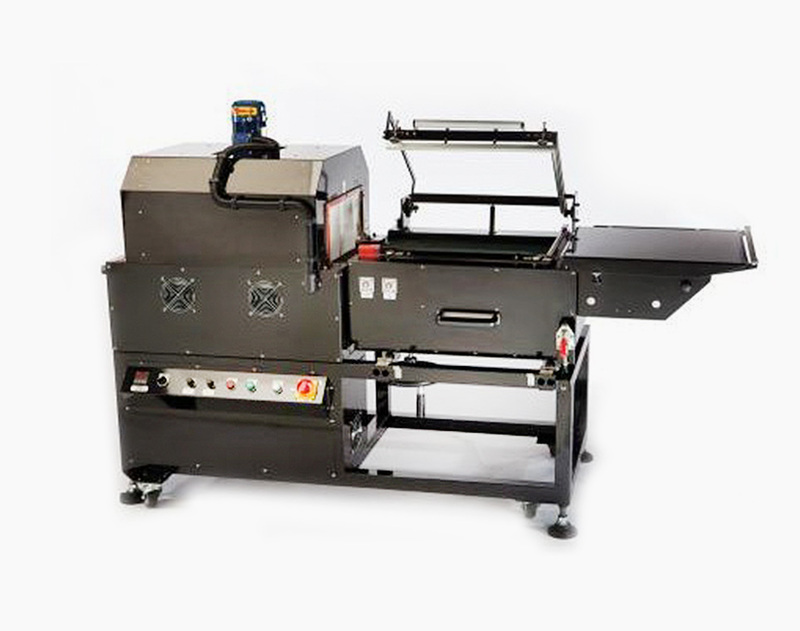 Available in semi-automatic (operator fed) case sealers or fully-automatic (operator free) case sealers, these air powered machines will increase your output. L-clip case sealers are meant to seal the top and bottom edge of clamshell or other non-standard cases with a ‘clip’ of tape. 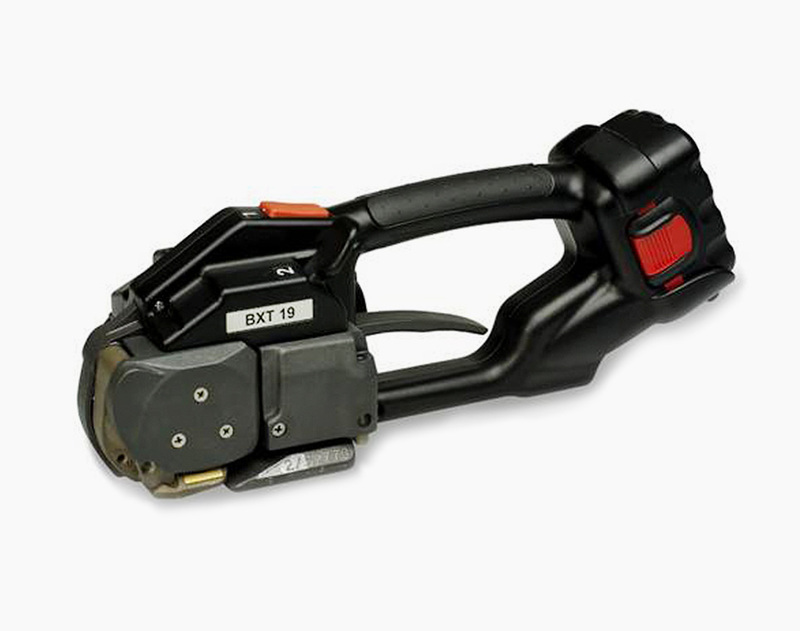 Simple and easy to operate, these machines can often save you the hassle of manually clipping tape to your unique cases, thus save you time and create a more efficient work flow. 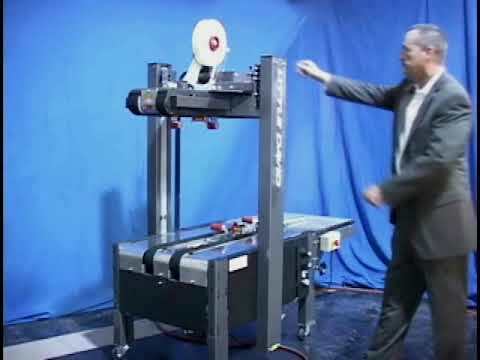 At Arnold’s, we offer Semi-Automatic and Fully Automatic Stretch Wrap Equipment. 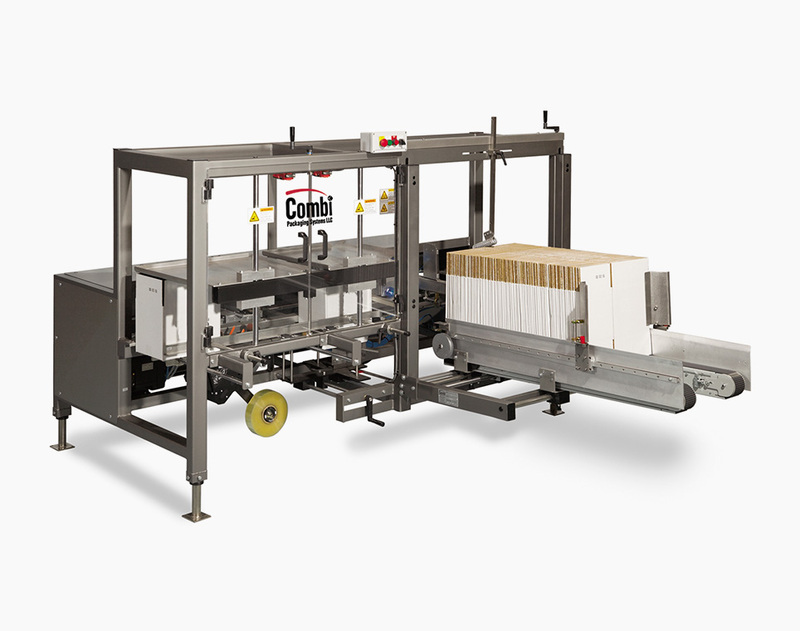 The Semi-Automatic equipment requires the operator to place the load, attach the film to the pallet and then run a wrapping cycle. 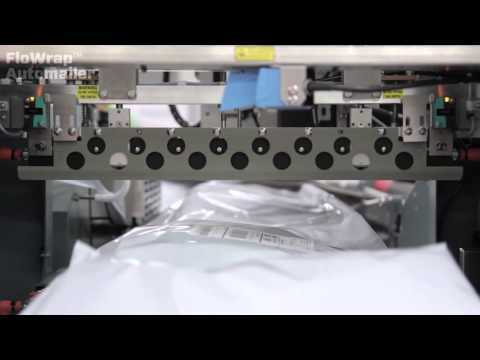 With a fully automatic stretch wrapper, the process of a wrap cycle from start to finish is as simple as the touch of a button. The operator drops the load on the turn table, hits the remote start button, and goes about his/her work until the wrap cycle is finished. No getting on and off the fork lift, no bending down to attach the film to the pallet, and no bending to manually cut the film from the wrapped load. 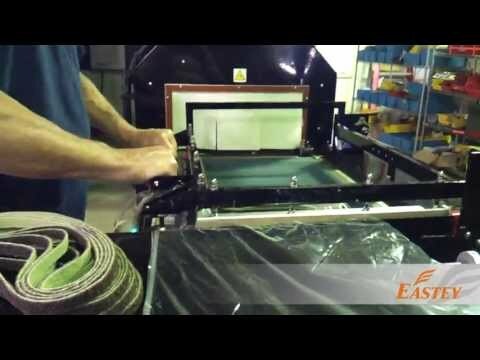 In addition, both types of machines can save you money by reducing film usage This is accomplished by pre-stretching the film before application. We represent Wulftec, Orion and Cousins equipment. 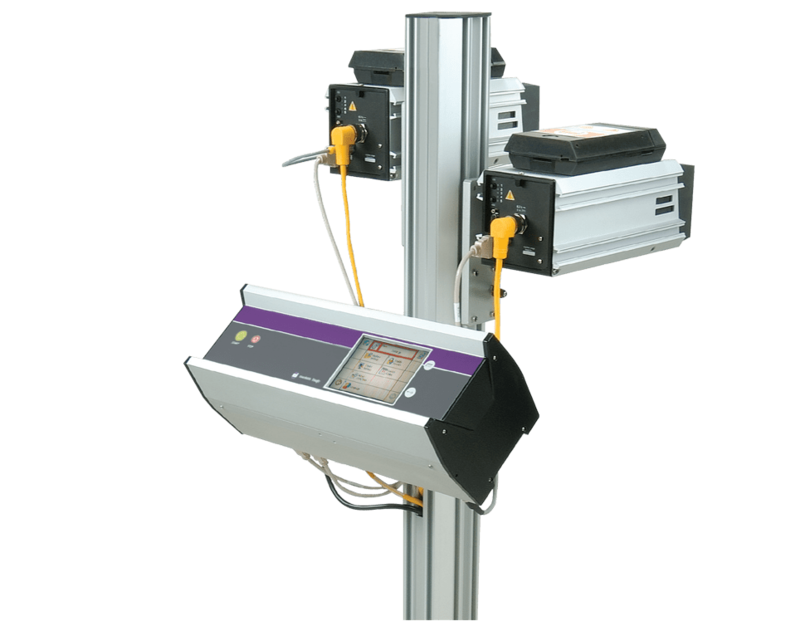 Shrink wrap equipment allows you to easily cover, seal, and protect a variety of products in a cost-effective way. 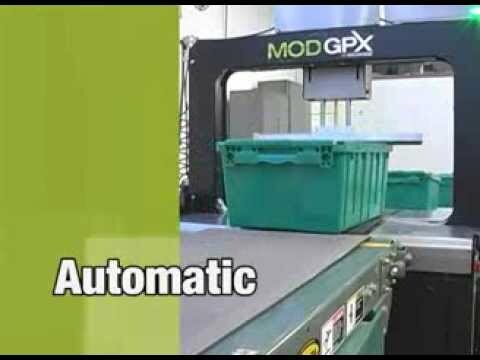 Our shrink wrap machines allow packaging departments and warehouse facilities to create unique plastic coverings for a wide variety of containers. 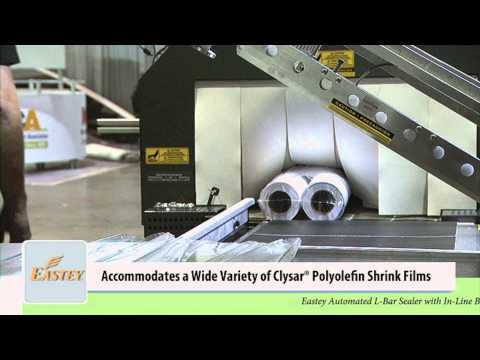 Choose from varying lengths and widths so you can purchase the best match for your shrink wrap project. 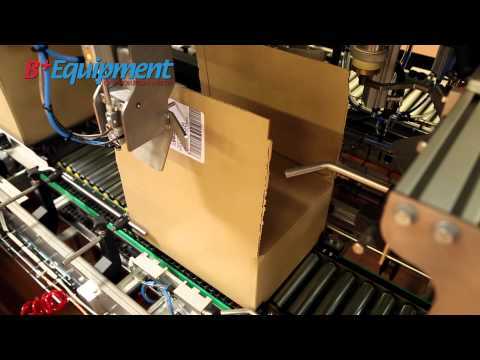 We represent Sealed Air Shrink Packaging and Eastey equipment. Arnold’s carries a wide range of steel strapping tools. 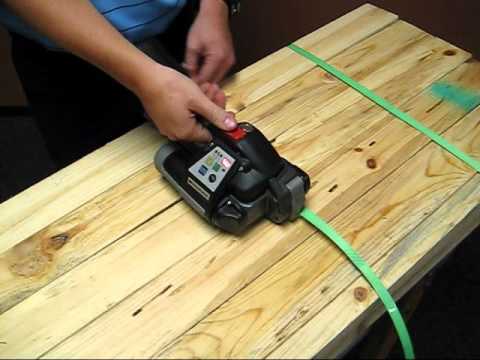 Our steel strapping tools are designed to secure your packaging and industrial applications by tightening strapping with little to no give and sealing them with a metal strapping seal. 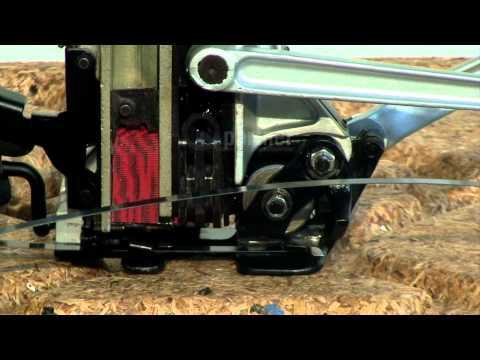 We also have seal-less strapping tools that will secure steel without the use of a metal seal. 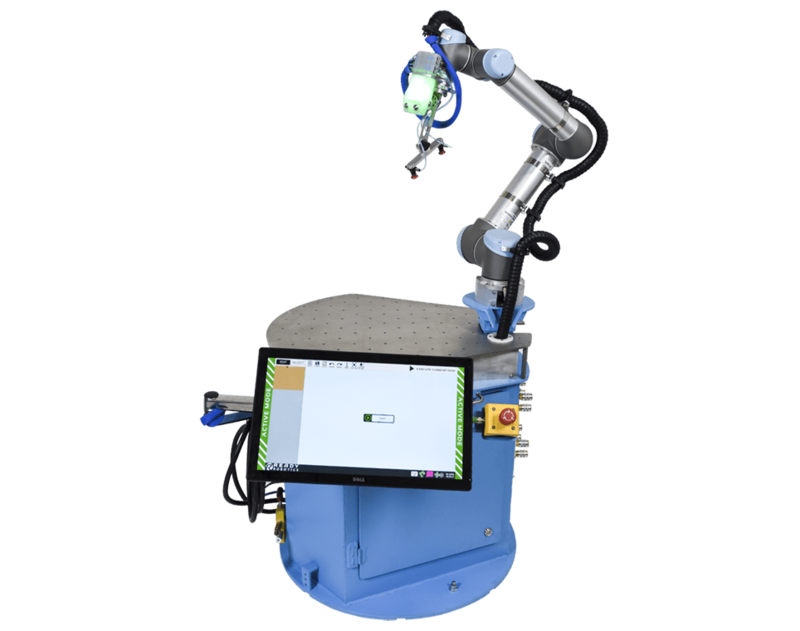 Arnold Packaging is now a Markem-Imaje partner of choice, bringing you a full line of reliable small character inkjet, thermal inkjet, thermal transfer, laser, small character hot melt inkjet, and digital printing products for product coding. 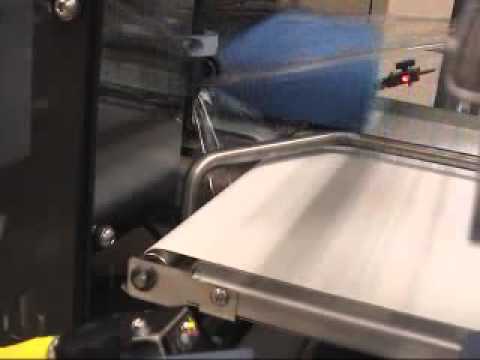 We offer case coding products; pallet coding products to print and apply labeling; supplies, including inks and chemicals, CIJ inks, DOD inks, TIJ inks, TTR ribbons, holt melt inks, and legacy fluid inks. 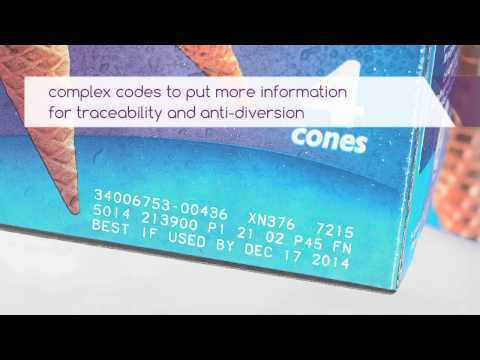 We offer proprietary software solutions, including message design, coding and data management, traceability and unique coding. 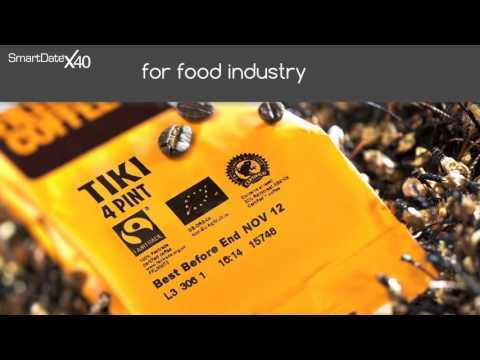 We serve various industrial markets, including food, frozen, beverage, postal, candy and confectionery, dairy, electronics, as well as cosmetics, toiletries, pharmaceuticals, cables, tubes, and extruded profiles. In the world of ecommerce, managing freight and labor are the key to controlling distribution costs. Arnold Packaging has a line of equipment dedicated to that exact goal. Our systems deliver the lowest total cost per package in the industry when it comes to minimizing freight and labor costs.